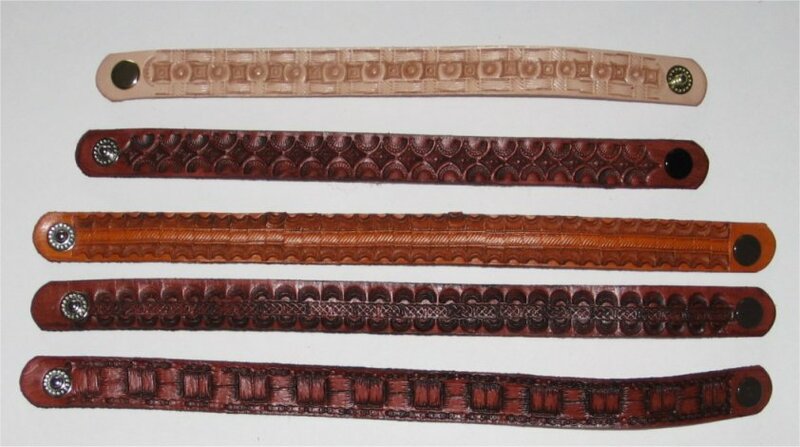 We make many different style bracelets that are hand crafted out of leather with many different designs. 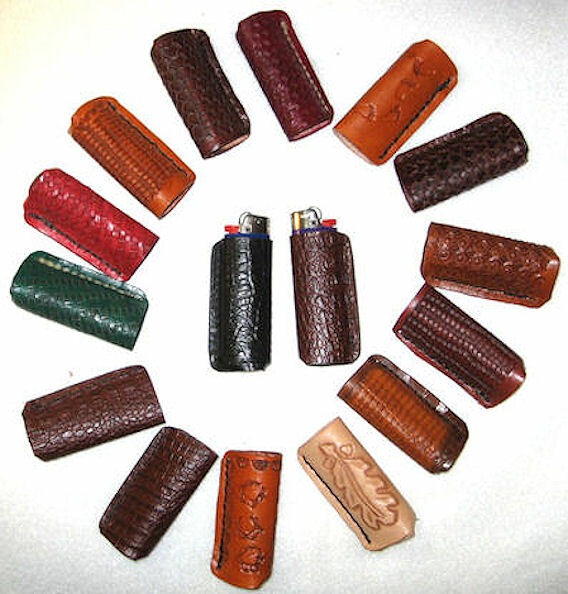 Now you can get a hand crafted leather case for your Bic lighter. Now you will always know which lighter is yours. These Card Holders can have any lettering you would like on them. 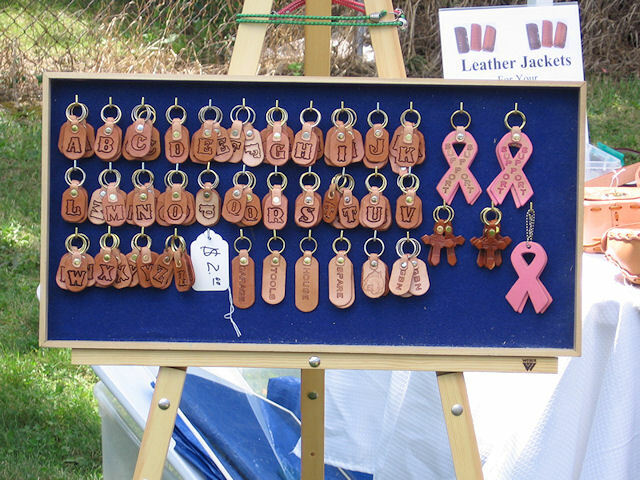 These are one of a kind made to order. This beautiful card case will capture everyone's attention at the table. 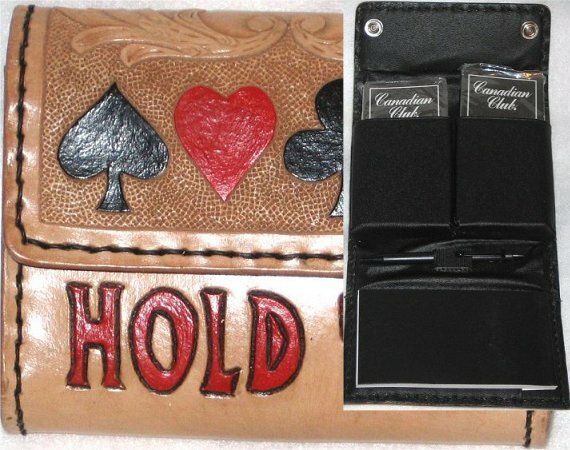 It holds two card decks, a pen and score pad. Be the envy of the game. This handsome carryall hangs from your belt or fits in your purse. Many uses as a keep all. Zipper closure. 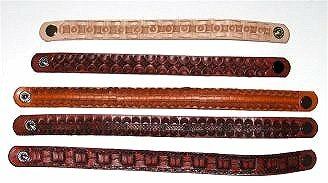 Measures 6" x 2 3/4". Stash your cash and keys in this little purse. Makes a great case to store your loose change in your vehicle. Zipper closure. Measures 4 " x 2 1/4". Start your day with a hot coffee. The cardboard wrapper is ok, but a custom-made leather coolie with your initials is much better, and the latest in showing who you are. Custom designs welcomed. Hand stitched so it never comes apart. Start your day with a hot coffee. The cardboard wrapper is ok, but a custom-made leather coolie with your initials is much better, and the latest in showing who you are. Custom designs welcomed. This coolie has snap that hold it's shape. When done unsnap and put it in your briefcase. Easy to store for those who travel and want to make an impression. 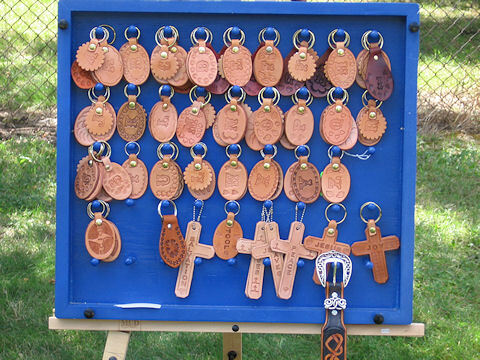 These key rings have your initials, crosses, also names for certain keys. Many to choose from.